Well, today is Valentine's Day. Around the world people are celebrating love and their loved ones. Here in Mexico, where I serve as a full-time missionary and teacher, we celebrate Dia de Amistad y Amor, Day of Friendship and Love. As a single female, this makes me very happy because the focus isn't on romance but instead love between everyone. In our classes today, we are celebrating loving each other and talking about how we can show that love to each other. One of the ways we decided that we can show love to our friends is through respect. We can respect our friends by helping them with clean up or actives. We can respect our friends by paying attention to our actions. We can respect our friends by leaving our work space tidy for the next person. Another thing we are doing in class today some fun coloring activities. These are super fun and easy while still being educational and reinforcing skills we have been working on. 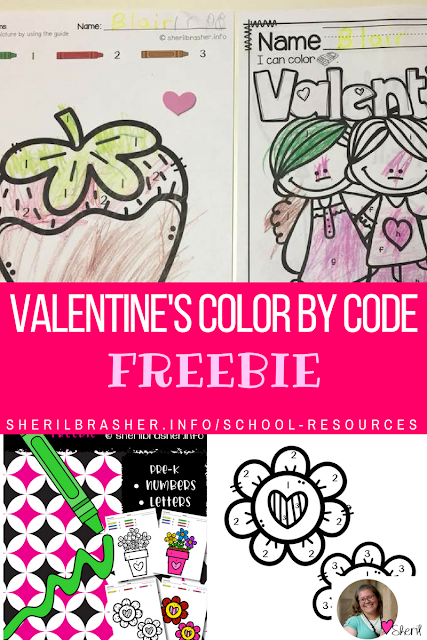 We have been using our Color By Code: Valentine's Day pack for PreK that mixes Number and Letter Recognition. This full pack includes 7 different images with numbers and letters (14 total pictures) and contains full color answer keys so students can check their own work or helps those students that struggle with prompts. There are even a few options with only 3 color choices to help those who don't quite get the concept so that they can succeed and gain confidence. Today for you, I have a FREE sample of that pack. This sample has 2 full images with answer keys. One page focuses on Number Recognition and the other focuses on Letter Recognition. To get your FREEBIE, simply click the image below. It will take you over to our blog post about one little girl who had success and gained confidence through using the simpler page. How are you guys celebrating Valentine's Day with your kids or students? How do you show love and respect to friends? Leave a comment below and let us know so we can add it to our lists. 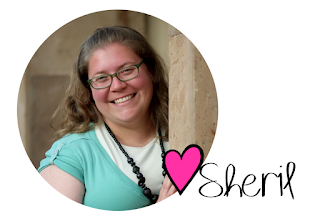 Until next time, you can find me over at sherilbrasher.info blogging about my life as a missionary, running a Preschool and starting a bilingual, project-based K-12 school in a foreign country.